One of the cardinal questions for fans is probably this: What happens when musicians from different bands of the same genre join forces for a project? The eighties frequently tried to give an answer with the so-called supergroups. Steve Hackett himself was once part of such a supergroup, GTR. A quarter of a century later the approach has changes. Chris Squire had worked with Steve before here and there, and they had the idea for a joint album. They coined the word SQUACKETT and made it the name of their project. 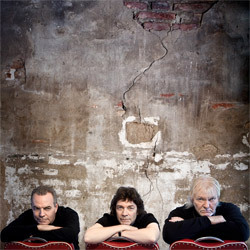 A Life Within A Day is the title of their album that will finally be released on May 29, 2012. You can preview selected tracks at this link! 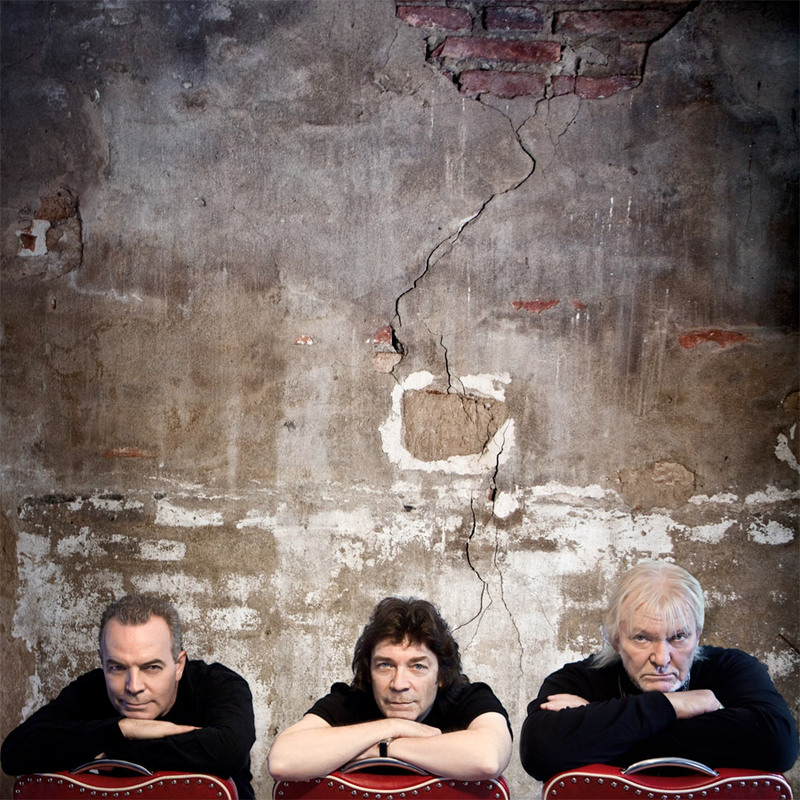 Steve Hackett and Chris Squire - this collaboration has been coming for a long time. Again and again each played on projects of the other and since that time there has been the idea of a joint album, although without a concrete day for a release. That, however, changed last year when SQUACKETT was finally announced. It is an autonomous project. Life Within A Day comes out on a neutral label, and neither prog heavyweight's name is visible straightaway. 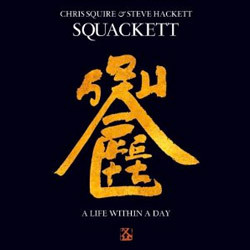 SQUACKETT is SQUACKETT, not Chris Squire & Steve Hackett. So much for the name. Expectations in the progressive fan camps of Genesis and Yes are naturally high, though nobody ever said which style the album would be in. A Life Within A Day is therefore basically the playground for to musical legends and not a place to stick a label on. The album begins with a title song that is as compact and heavy as is normal in the progressive area. It also takes the listener on a rollercoaster ride of arrangements that does not always make this a comfortable listening experience. Hackett's vocals fit the song. Actually, this first song gives one the impression of listening to a Hackett album. Tall Ships is a slow number with edgy riffs that are not quite typical for prog music. Above and besides these there is, once more, Hackett's guitar. This could be passed off as a pop song were it not for the tight sound net the two have spun. They also share vocal duties here. The first two songs are comparatively short (6 minutes each) for Hackett and Squire, but the impression changes when you hear Divided Self. A Life Within A Day is not a prog album but a musical journey, a potpourri, as it were. Divided Self is almost fun. Its simplicity may remind you of Enter The Night or Little America. It is a song that makes you forget that this is no Steve Hackett album. Steve sings this four minute piece that even spreads some 80s style in the end. Aliens seems quite unobtrusive, though there are clear links to early acoustic prog songs by Genesis as well as Yes. The melody seems a bit heavy and convolutedly constructed; it seems not to fit the music at times, particulalry during the verses (where Chris Squire sings, while Steve does the chorus). The song becomes more interesting after several runthroughs, though it certainly is not the strongest number on the album. Sea Of Smiles, the first single off the album, is one of the straightest songs on the album. As on the previous songs, there is much echo which adds to the melodic part of the songs. Stylistically it resembles Take These Pearls, particularly in the beginning. Hackett does the lead vocals again. A catchy chorus has slipped out of their pens, to that the idea to make this the single is logical. Interestingly, Hackett holds back on his guitar before he plays a brief solo in the middle. The drums seem to be rather weak on this song. The Summer Backwards continues Sea Of Smiles without a break - once again it is Hackett's voice, enhanced by doubling and echoes, that carries of this short song (three minutes!). This peace resembles what Hackett did on To Watch The Storms. Stormchaser brings back the heaviness, and the drums sound stronger again. It begins with a guitar solo. If you expected a long instrumental track you will find yourself "disappointed" when Hackett begins to sing. This is clearly the style of more recent albums, mainly Out Of The Tunnel's Mouth. Stormchaser is a rock song with a prog finale. Hackett's vocals give one the impression at times that this is rather a Hackett album. And so one has to wait for Can't Stop The Rain until one can clearly hear Chris Squire musically and vocally. This is the most non-Hackett song, and it is a brief journey through the recent past, with many parallels to songs progressive bands would do in the 80s. Can't Stop The Rain could almost be called a ballad, though it would not do full justice to the song. The next song follows seamlessly. Perfect Love Song is the last piece on the album, and it is the ninth of nine album tracks that must be called a song. It is rather short at four minutes, which sort of contradicts many album finales on progressive albums. Perfect Love Song has quite a compact instrumentation, with a vocal blanket in which Hackett can be heard more clearly. The songs ends somewhat suddenly, and so does the whole album after some 45 minutes. 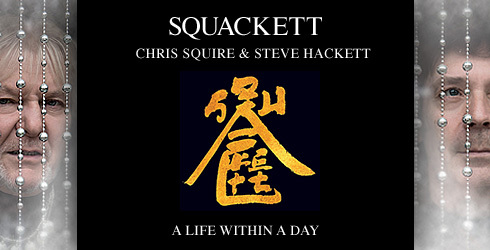 SQUACKETT is a project of Steve Hackett, Chris Quire and Roger King. The latter pulled the strings and presumably also kept track of the music during the long production time. A Life Within A Day is a pleasant project that is quite enjoyable to listen to. It is definitely not a prog album, and it is therefore bound to disappoint fans who had hoped for a prog album, though cynics would assert that prog fans are always disappointed when their heroes do not make prog music. If you give the album a try you are likely to enjoy it. It is actually quite remarkable what a creative output Steve Hackett has been producing lately. A Life Within A Day comes out in three formats. Apart from the standard CD there will be a CD/DVD deluxe edition which offers the whole album in 5.1, too. The surround version has not been available yet, so we cannot say anything about the 5.1 sound at this time. Vinyl collectors will be happy about an LP version.